The Mobile Wireless Sensor Network (MWSN) is an emerging technology with significant applications. The MWSN allows the sensor nodes to move freely and they are able to communicate with each other without the need for a fixed infrastructure. These networks are capable of out-performing static wireless sensor networks as they tend to increase the network lifetime, reduce the power consumption, provide more channel capacity and perform better targeting. Usually routing process in a mobile network is very complex and it becomes even more complicated in MWSN as the sensor nodes are low power, cost effective mobile devices with minimum resources. Recent research works have led to the design of many efficient routing protocols for MWSN but still there are many unresolved problems like retaining the network connectivity, reducing the energy cost, maintaining adequate sensing coverage etc. 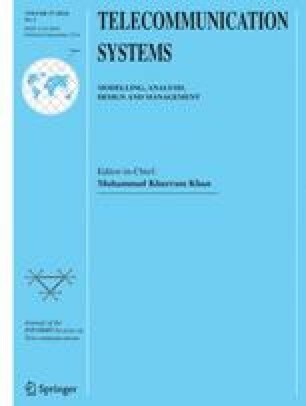 This paper addresses the various issues in routing and presents the state of the art routing protocols in MWSN. The routing protocols are categorized based on their network structure, state of information, energy efficiency and mobility. The classification presented here summarizes the main features of many published proposals in the literature for efficient routing in MWSN and also gives an insight into the enhancements that can be done to improve the existing routing protocols. This paper is supported by the Junior Research Fellowship for Engineering and Technology under University Grants Commission, India. We would like to thank the anonymous reviewers for their valuable suggestions towards the improvisation of this paper. Natalizio, E., & Loscrí, V. (2011). Controlled mobility in mobile sensor networks: advantages, issues and challenges. Telecommunication Systems, doi: 10.1007/s11235-011-9561-x. Black, N., & Moore, S. (1994). Guass seidal iterative method. http://mathworld.wolfram.com/Gauss-SeidelMethod.html. Kuosmanen, P. (2003). Classification of ad hoc routing protocols. http://eia.udg.es/~lilianac/docs/classification-of-ad-hoc.pdf, Naval Academy, Finland. Kuntz, R., Montavont, J., & Noël, T. (2011). Improving the medium access in highly mobile wireless sensor networks. Telecommunication Systems. doi: 10.1007/s11235-011-9565-6.